“We hope to bring awareness and attention to meaningful conversations and engage social actions." Black Lives Matter Toronto will help lead the city's Pride Parade as this year's Honourary Group. The Canadian chapter of the #BlackLivesMatter movement has made headlines for protesting the city's take on carding, as well as bringing attention for local and global deaths of black men and women like Jermaine Carby, Andrew Loku and Sandra Bland. 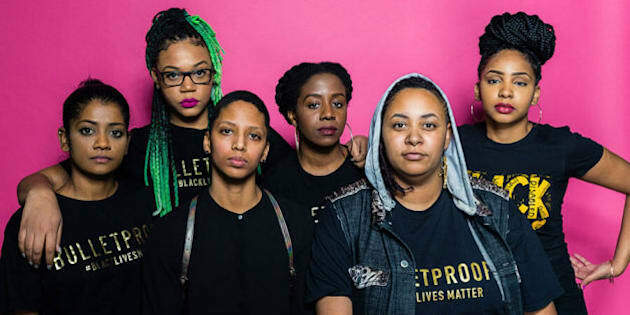 The group has also tackled the issue of sexual violence with Toronto's Take Back The Night with their #AllBlackLivesMatter March in 2015, focusing on black women, trans and queer people and people with disabilities. "We look forward to standing beside and honouring the extremely important and significant work of Black Lives Matter - Toronto, who are leading a timely movement in our city both boldly and fiercely,” Pride Toronto board of directors co-chair Alica Hall said in a statement. “We hope to bring awareness and attention to meaningful conversations and engage social actions." June 1 will also mark Toronto's first-ever Pride Month — a month of awareness, celebration and education leading to the 36th annual parade. Rodney Diverius, the movement's co-founder, says historically LGBT spaces like Pride have failed to be fully inclusive of all identities, including those in African and Caribbean communities. "We hope to highlight and challenge the ways that anti-blackness is present in LGBT spaces, all the while celebrating the beauty and ferociousness of Black queer, trans, and gender diverse Torontonians," he said in a statement. This year's Pride Parade will place on July 3, and the rest of this year's honourary positions, including the International Grand Marshall, will be announced later this year.